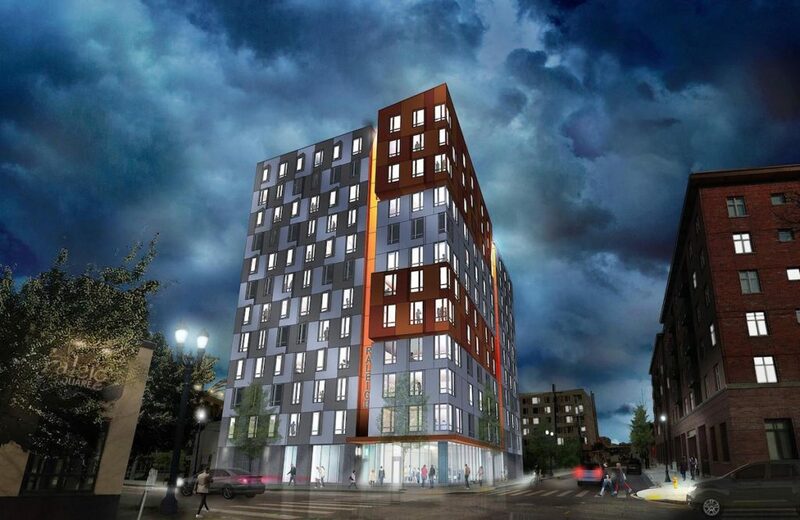 One year into Portland’s Inclusionary Housing ordinance, a memo from the Bureau of Planning and Sustainability recommends exploring changes to the program* in order to ensure continued housing supplies, reports the Daily Journal of Commerce. The City of Portland wants to change the state constitution in order to build more affordable housing for its money, according to the Willamette Week. 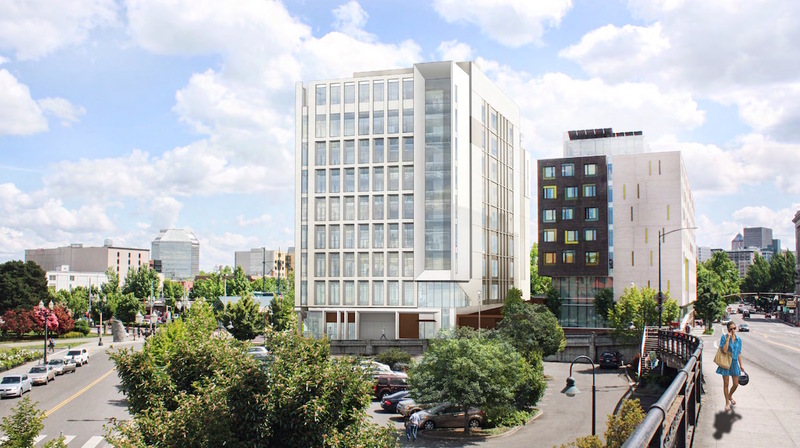 The Daily Journal of Commerce published photos of the under construction Gladys McCoy Building, which will serve as the new headquarters for the Multnomah County Health Department. The Willamette Week reported that the Overlook Restaurant will close on January 21st. The diner at 1332 N Skidmore St will be replaced by the Overlook apartments, which will include 158 residential units. 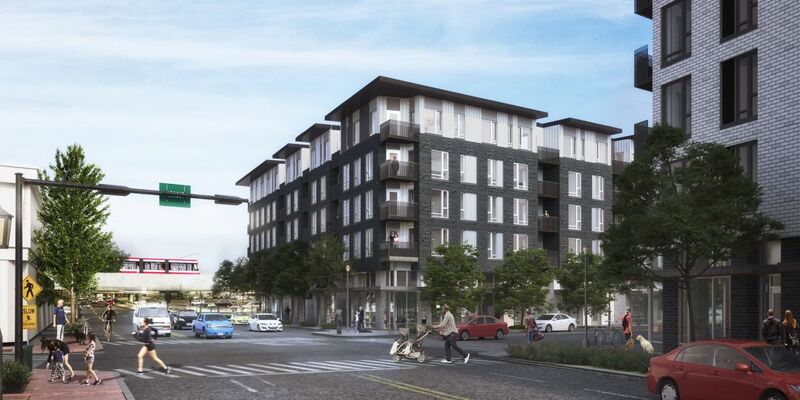 The first new build affordable housing project financed with the voter approved $258 million housing bond will be on the site of the former Safari Showclub at 3000 SE Powell, writes the Oregonian. 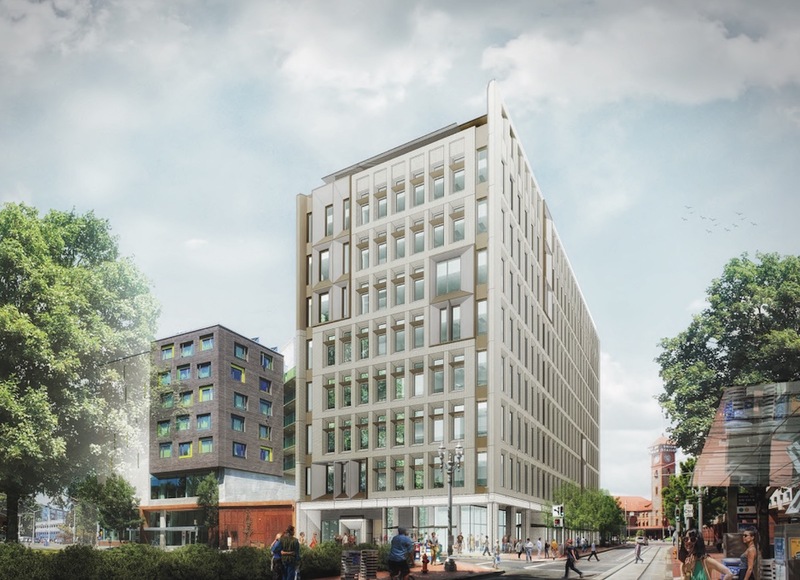 The Multnomah County Health Department HQ has topped out, according to the Business Tribune. Completion is scheduled for early 2019. By a 3-1 vote the Portland Art Museum received city council blessing to enclosure a pedestrian plaza and move forward with the Rothko Pavilion. 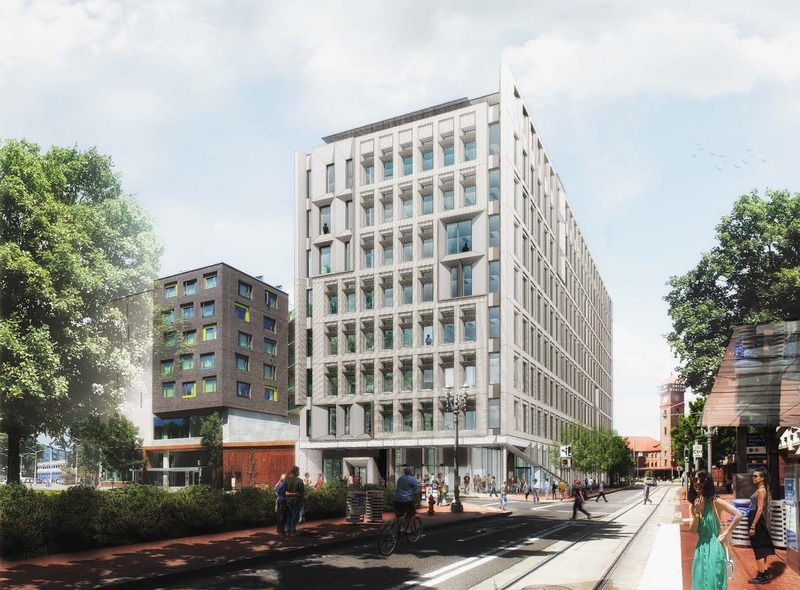 The Design Commission has approved the new Multnomah County Health Department Headquarters, which will house clinical functions, associated workplaces, and administrative offices for the department. 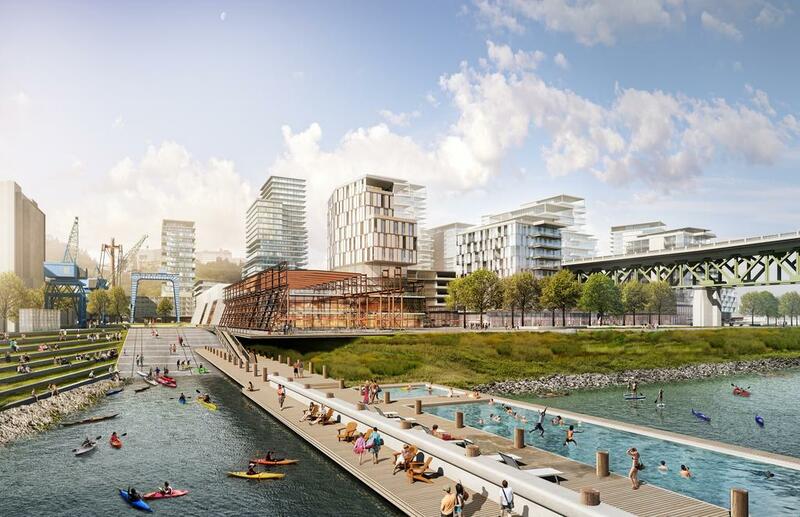 The 9-story, 157,000 sq ft building by ZGF Architects will rise to a height of 145’-4 1/2”. At the ground level the building will include a pharmacy and work space, a “gallery” facing the street, and a potential lease space. Floors 2 to 4 will be occupied by clinic and clinic administration spaces. Floors 5 to 9 will mostly be occupied by office space, with a south facing terrace at the 9th floor. The majority of roof area will be covered by an ecoroof. No vehicular parking is proposed. A bike room, with 55 parking spaces, will be accessed from NW Hoyt Street. 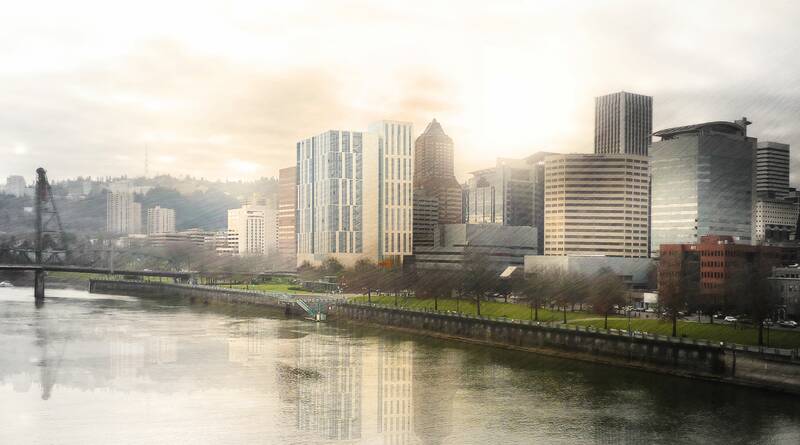 A first Design Review hearing has been held for the new Multnomah County Health Department Headquarters. The building will house clinical functions, associated workplaces, and administrative offices for the Health Department. The 9-story, 157,000 sq ft building by ZGF Architects will rise to a height of 145’-4 1/2”. At the ground level the building will include a pharmacy and work space, a “gallery” facing the street, and a potential lease space. Floors 2 to 4 will be occupied by clinic and clinic administration spaces. Floors 5 to 9 will mostly be occupied by office space, with a south facing terrace at the 9th floor. The majority of roof area will be covered by an ecoroof. No vehicular parking is proposed. A bike room, with 55 parking spaces, will be accessed from NW Hoyt Street.